I/O Ports – USB2.0 x 2, USB3.0 x 1 and HD Audio. 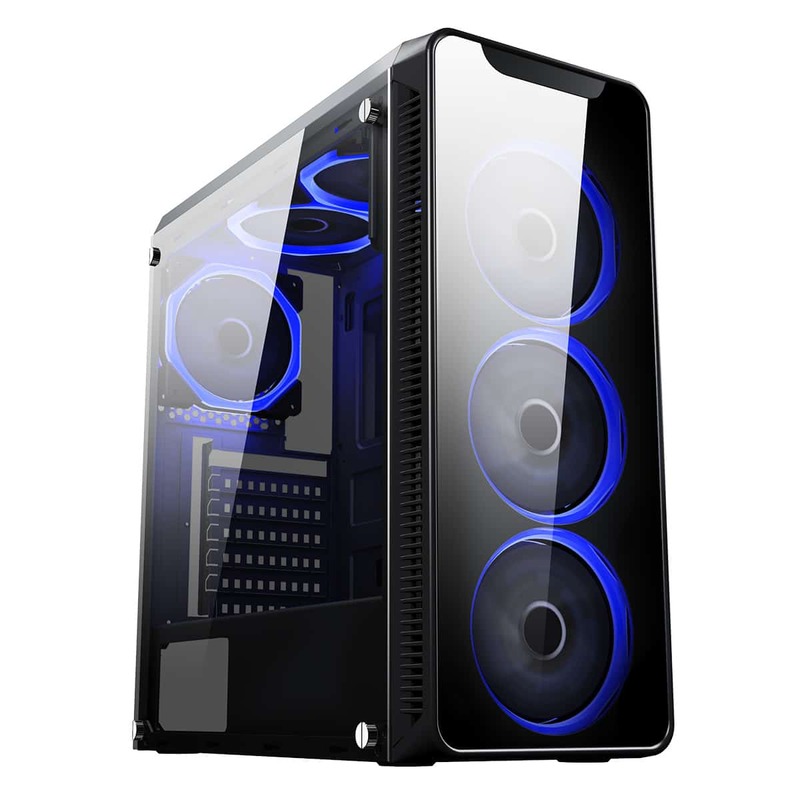 Tempered Glass – The front and left side tempered glass allows you to show off your internal components. Water-Cooling Support – Front panel supports a 240mm radiator. Fans – 3 x 120mm Single-Ring Halo Blue LED fans on the front panel, 2 x 120mm Single-Ring Halo Blue LED fans on the top cover and 1 x 120mm Single-Ring Halo Blue LED fan on the rear. Removable Dust Filter – A dust filter on the top and bottom of the Blaze helps to prevent dust from getting into your build and helps improve the performance of your chassis.